Art Basel Miami Beach is the largest and most prominent contemporary art show in the country if not the continent, and the epicenter of a series of events and fairs all revolving on what has now become the Miami Art Week. On this first week of December, the art world converges in Miami... the world's top galleries, artists, collectors, curators and art and design enthusiasts from all corners of the globe make an appearance to showcase and relish on the latest in the world of contemporary art. 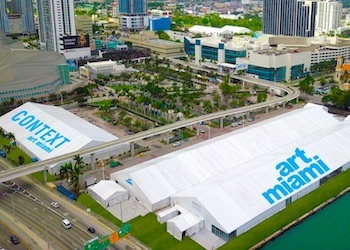 Art Basel Miami Beach opened for the first time in 2002 on the wings of the prestigious Art Basel in Switzerland providing a platform for the fledgling Latin American art scene and their emerging as well as established artists. Now on its 16th year, it has grown into quite a unique event spawning many other satellite fairs, outdoor exhibitions, private events, parties and grand openings. Art, design, and fashion launchings are made to coincide with Art Basel week to capitalize on the momentum and the captive market. 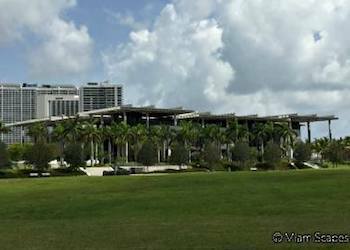 In the past we have seen the grand opening of the Perez Art Museum at its new gorgeous location in the bayfront during Art Basel week. Last year we had the opening of the Institute of Contemporary Art in the Design District as well as the "re-opening" of the Bass Museum of Art after a two year renovation. This year we have an unauthorized traveling exhibition of elusive street artist Banksy, organized by his former dealer Steve Lazarides. The "Art of Banksy" show opens on December 1 just in time to coincide with Art Basel Miami Beach. Just steps from the Convention Center, interior design afficionados should gravitate towards Design Miami. If strolling in a breezy courtyard, cocktail in hand and surrounded by inspiring pieces suits you then head to Aqua at SOBE's Aqua Hotel or INK at the Suites of Dorchester. Art and ocean views? Untitled on the sands of South Beach, the SCOPE Pavillion and Superfine! 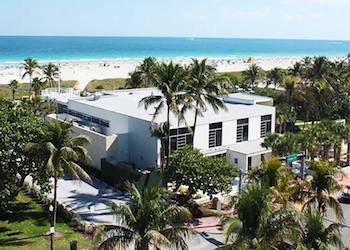 on Ocean Drive are as close to the surf and sand as you can get, so is Pulse Miami at Indian Beach Park in Miami Beach. Free Trolleys and shuttles will connect Miami Beach to the mainland, which will make it easy to head towards downtown and some of the up and coming neighborhoods. Street art lovers should check out the ever growing collection of outdoor murals and Banksy type creations at the Wynwood Art District where Art Week special events will be going in full swing, check out Pinta Miami, Spectrum Miami and Red Dot Miami at Mana Wynwood and the Basel House Mural Festival at RC Cola Plant which is free and open to the public. Please note that some fairs have changed location from the prior year, specially after some used alternate venues due to Hurricane Irma. Also the locations denoted with * were designated stops on Lyft's Art Hop in previous years, 2018 TBC. 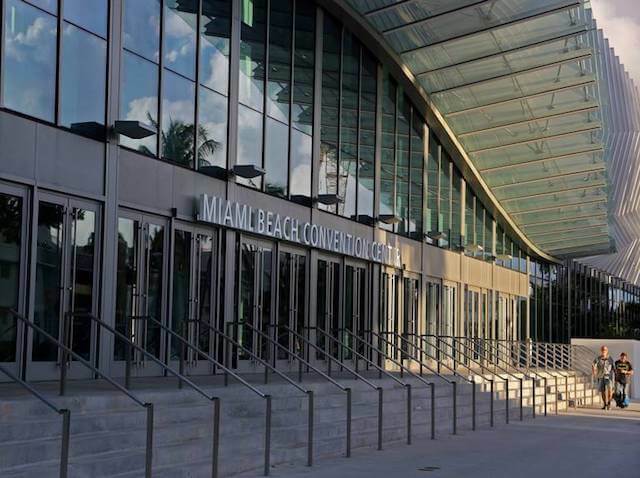 Art Basel's main exhibition hall is at the Miami Beach Convention Center, which this year reopened after a $620 million renovation and expansion and will welcome you with a brand new undulating facade showcasing over 500 giant aluminum and glass fins reminiscent of an ocean wave rolling onto the beach. 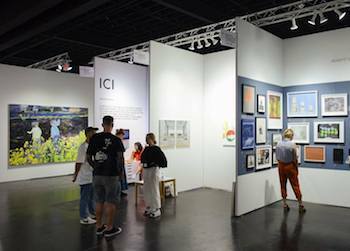 The Convention Center is the "heart" of Art Basel with over 250 hand-picked galleries exhibiting their best. What do you find here? Everything art related: paintings, sculptures, photography, drawings, film, digital art. The exhibition is split into sectors: Galleries, Nova, Positions, Edition, Kabinett, Public, Survey, Magazines and Conversations. For this year's exhibitors click here. This year, two of the free outdoor programs we had in the past, the sculpture program at Collins Park and the fair's FILM program at SoundScape Park have been sadly discontinued. 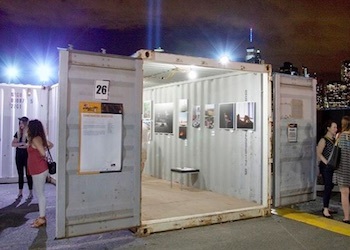 With the opening of the revamped Convention Center and more ample facilities, the popular outdoor programs have been replaced this year with a new live installation (objects, music, dance and all) by Mexican conceptual artist Abraham Cruzvillegas "Autoreconstruccion: To Insist, To Insist, To Insist..." which debuted in New York last year and will be showcased at the new 60,000-square-foot ballroom of the MBCC. How Much? Day Ticket online $50, $60 at the gate, Permanent Ticket (all 4 days) $130 onsite $140, Students and Seniors $40 (must apply) Combination Ticket for Art Basel and Design Miami $75 onsite $85. 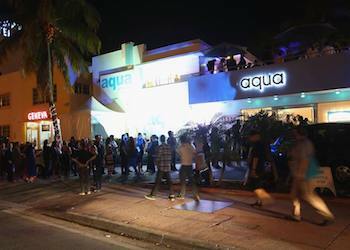 Part of the "Art Basel Experience" is the series of official and unofficial events taking place at the same time which make up the "Miami Art Week"
Hotel lobbies along the Art Deco District transform into mini-galleries, and beyond the beach, a lot of the action will be at Miami's up-and-coming neighborhoods: the Miami Design District and Mid-Town, the Wynwood Arts District and the Faena District in Miami Beach. In fact, this is probably the best time to check out these areas which are otherwise quieter during normal times of the year. During Art Basel they will be bustling with activity with large tents, temporary warehouses, make-shift galleries and stores popping up all around. The atmosphere here is quite different from the main venue, specially at Wynwood, reflecting on the very unique and spirited edginess of the alternative exhibitors. These are some of the most popular "satellite fairs" and events taking place this year during Basel Week. Check their locations in the map below. 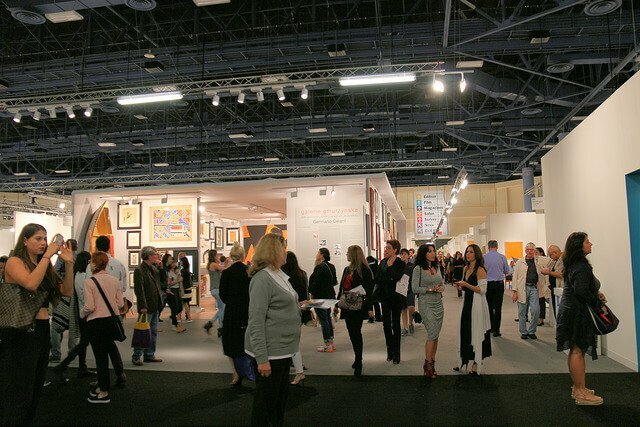 Art Miami is the longest-running art fair in Miami. Before Art Basel arrived on the scene, it used to take place every January but has since moved to December and continues to showcase the best in modern and contemporary art. What? : Over 125 international art galleries exhibiting modern and contemporary art. Also related and located next door is CONTEXT Art Miami, dedicated to the development and support of emerging and mid-career artists. The combined efforts of CONTEXT Art Miami and Art Miami provide a unique and alternative opportunity for leading primary dealers and their artists to be marketed and promoted internationally during the most important week for contemporary art in America. How much? : One day pass Art Miami and CONTEXT Art Miami $55, Multi-Day $100, Students $35, VIP, Senior and Group rates available. Welcome to the world of interior design, furniture, lighting, art objects... The exhibition contains works by pioneering modernists to one-off and limited-edition pieces by cutting edge contemporary designers. 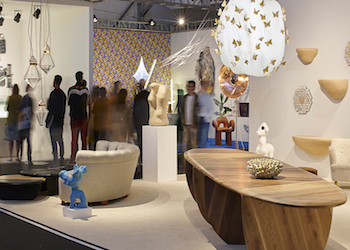 Design Miami/ is the global forum for design with annual shows in Miami and Basel. What? : At the core of the Design Miami/ forum is a marketplace for collectible design, amid which the most reputable international design galleries present curated exhibitions of museum-quality furniture, lighting and objets d'art, attracting the highest level of private and public collectors of historical and contemporary design. The galleries invited to exhibit in Design Miami/ deal mainly in exceptional design objects from the advent of Modernism (circa 1900) to the present day, with select galleries specializing in outstanding 18th and 19th century antiques. What? : Dozens of dynamic young galleries from North and South America, Europe and Asia exhibiting performance art, new media and solo installations in a wonderful setting at the Aqua Hotel in South Beach with spacious exhibition rooms opening onto a breezy intimate courtyard. What? : Mana Wynwood is where contemporary meets extraordinary. This fantastic space will be hosting some high-caliber exhibitions. Spectrum Miami, Red Dot Miami and Pinta Miami are set to showcase innovative new sculpture, painting, photography, music and other works back in Wynwood, Miami's artsiest neighborhood. Spectrum will feature over the course of this five-day fest an assortment of Art Labs, Art Talks, Meet the Artist sessions, music, entertainment, and other special events. Red Dot Miami shines the spotlight on 50+ top galleries from around the world, showcasing work from over 300 contemporary artists. 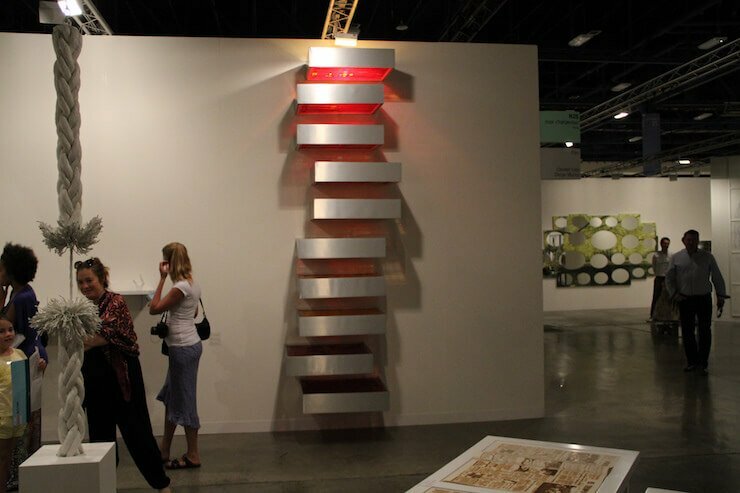 Pinta Miami is a Latin American art fair with a global perspective. This year it features for the first time in Miami, the Colección INELCOM Arte Contemporaneo, one of the most important Corporate Collections in Spain. How much? : Each show $25 online $30 onsite. What? 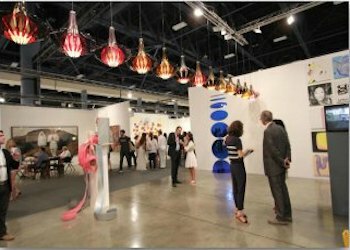 : The Fair is unique among Miami's fairs for its focus on modern and contemporary works on paper by internationally renowned artists. 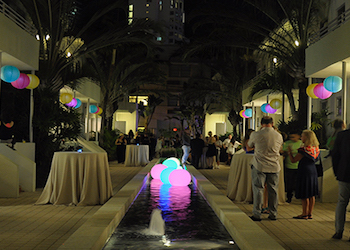 The INK Miami Art Fair transforms the historic Suites of the Dorchester hotel into distinctive art galleries, surrounded by a verdant and tranquil courtyard. The fair has distinguished itself by the quality of its works and exhibitors, as well as its lush open-air courtyard, with surrounding suites transformed into uniquely defined galley spaces. What? : NADA showcases art from the world's youngest and strongest art galleries dealing with emerging Contemporary Art. 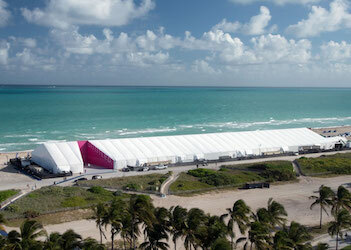 NADA Miami is the only major American art fair to be produced by a non-profit organization. NADA's renowned art fair vigorously pursues the goals of exploring new or underexposed art that is not typical of the "art establishment." What? : Pulse has shows in New York and Los Angeles and is known for offering more affordable and sometimes more accessible artwork than the mega anchor shows. Discover the next great painter, photographer or sculptor about to take the art world by storm! 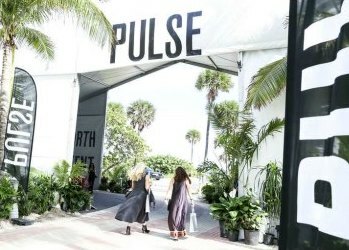 The Young Collectors Cocktails party on Thursday at PULSE draws a fashionable crowd of art lovers for a night of music, performance and celebration. Between its international exhibitors and dynamic programming, PULSE Miami Beach continues to offer visitors an engaging environment to discover compelling new contemporary art. Where? : Indian Beach Park, 4601 Collins Avenue, Miami Beach 33140, next to the Eden Roc Hotel and with direct access from the beach and boardwalk. Free Art Week Shuttle brings you to Pulse. What? 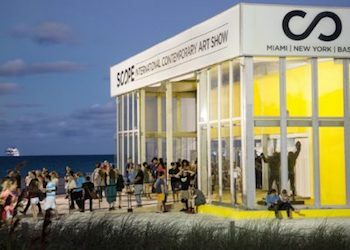 : With the crystal blue waters of the ocean as backdrop, the SCOPE Pavillion right on the sands of South Beach will be the launching pad for emerging contemporary artists and galleries and music artists as well. This year, SCOPE Miami Beach deepens its ties with the New Contemporary and Street Art genres by celebrating legendary publication HI-FRUCTOSE's 14th year. The publication will be transforming the SCOPE tent with ambitious projects featuring artists Okuda, HOTTEA, and AJ Fosik alongside exemplary VIP Programming, immersive Special Projects, compelling brand integrations and a dynamic array of Museum and Cultural Partners. What? : In the heart of South Beach, 45 booths of independent solo artists and galleries hailing from Miami and around the globe will call the historic Art Deco Welcome Center home. The most important thing about Superfine! is the art: there's plenty of it, and it's good. Best of all, the fair enforces a spread of pricing that's friendly to not only longtime collectors but also those who have never collected before, and want to. Expect to discover the perfect piece to take home and call your own, whether your budget is in the few hundred or the few thousand dollar range. Built on the ethos of accessibility and transparency (read: you will find artwork you love, and you can afford it! ), Superfine! 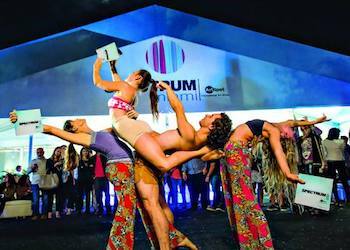 has made its mark on the Miami and global art scene over the past four years, adding fairs in New York, Washington DC to its roster along with its annual Miami fair. What? : Satellite breaks away from the traditional fair model and this year will be held next to the NADA Art Fair in Downtown in a 33,000 open air lot as the fair strives to present more public installations this year. Large-Scale Sculptures, Light Installations, Projection Works, Inflatables, Art Vehicles, etc. Satellite is an alternative art fair that presents new and exciting projects that span the gamut of art, music, performance, installation, new media and tech. 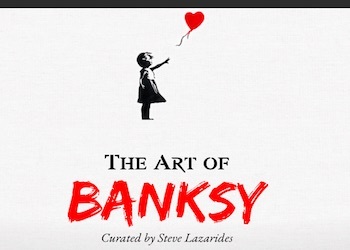 This is an unauthorized traveling exhibition of elusive street artist Banksy, organized by his former dealer Steve Lazarides. The "Art of Banksy" show opens on December 1 just in time to coincide with Art Basel Miami Beach and features 80 of his original works, showcasing pieces that were created for private art collectors and loaned out, such as paintings, prints, sculptures and other rarely seen pieces. Banksy, whose identity is the art world's biggest secret, is best known for his graffiti-influenced stencil technique, often combined with anti-establishment slogans. Most recently he made the news for a prank when the piece "Girl with Balloon" began to self-destruct right after it sold at a Sotheby's auction. The Faena Festival is a new annual multidisciplinary event to be held during Miami Art Week. It provides a new platform to explore ideas in contemporary culture that fosters engagement with the issues that defines us individually and collectively. Faena Festival brings a new curatorial concept whereby installations and presentations occupy and engage the entire Faena District and extends beyond into public spaces of the city of Miami Beach as an experiential platform. What? 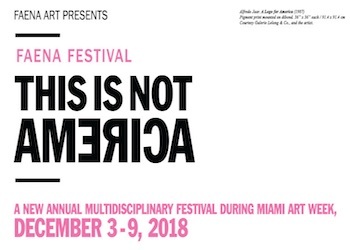 : This first Faena Festival titled "This is not America" addresses "...America as a concept more than a place, a contested and powerful idea that is greater than the waters and borders that frame it..." as per Zoe Lukov, curator of Faena Art. Artists and performers have been invited to explore the concept of America as a myth and narrative that has at times bound and divided us. Where? : Entire Faena District, the diverse venues of the district will be activated: Faena Forum, Faena Hotel, Faena Theater, etc. including the public areas of the street, sidewalk and beach. Basel House is where eclectic music, innovative unique vendors, and new-age art installations from across the globe come together to create an un-paralleled experience. 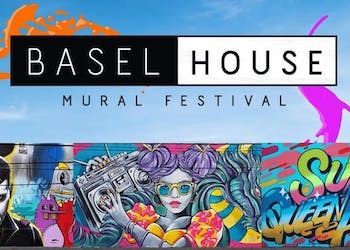 In the center of Miami's Wynwood Arts District, across 30,000SF of mural wall space, including projection mapping installations, vendors, and a whole lot more, this FREE event will offer live painting, unique art installations, vert ramp, live music, late-night DJs, mural tours, Saturday Night Art Battle, workshops, an art & lifestyle vendor market place, and food trucks. What? : PAMM is a year-round treasure trove for contemporary and modern art right in downtown Miami and makes for a perfect Art Basel detour. There are many ways to enjoy this spectacular week that is Art Basel Miami Beach, and unless you are itching for some tremendous piece of art, it doesn't have to cost much. So come for the art, the fashion, the people watching... enjoy and get ready to do it again next year! These are small groups led by an art historian who will take you through "off-the-beaten path" exhibits and murals, tour also includes a stop for small bites and sparkling wines at a secret signature gallery. These are 3-hour tours which of course is not enough to traverse the diversity of exhibits but your guide will provide a "plan of attack" with a map to all other Art Miami Week anchor fairs and art exhibits for you to visit at your leisure later on. Options for getting around Miami Art Week include the Free Trolleys and Shuttle Buses, Uber, Lyft, Water Taxis and Citibikes. Lyft ArtHop (To be confirmed for 2018) operates during Miami Art Week and is a shared ride that will make fixed stops along three routes between downtown Miami and Miami Beach. To request an ArtHop, passengers can select the ArtHop mode within the Lyft app. Passengers will be matched with others going in the same direction. ArtHop is available for single riders only. 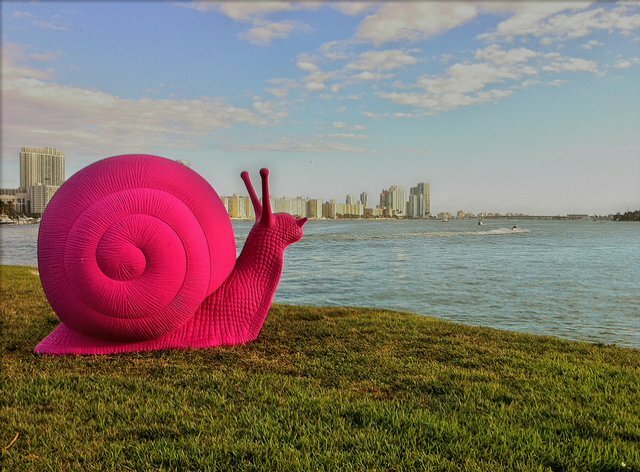 The stops on the ArtHop routes during Miami Art Week last year were: Aqua Art, Art Basel, Art Miami, Basel House Bayside, Brickell at Mary Brickell Village, Pulse and Red Dot/Spectrum, PAMM. This year's routes and stops for shuttle buses, Lyft ArtHop and trolleys during Art Week will be announced closer to December so stay tuned. There are three parking garages/lots convenient to the Miami Beach Convention Center if you are driving. The 17th Street Parking Garage, the Lot on Convention Center Drive and the Garage on 18th and Meridian. See Parking in South Beach for tips and map.